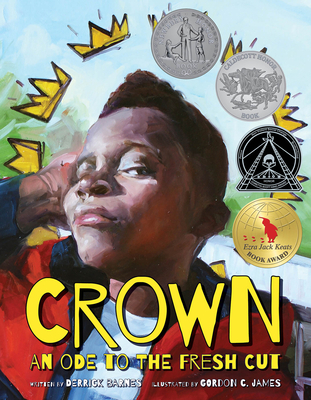 This rhythmic, read-aloud title is an unbridled celebration of the self-esteem, confidence, and swagger boys feel when they leave the barber's chair--a tradition that places on their heads a figurative crown, beaming with jewels, that confirms their brilliance and worth and helps them not only love and accept themselves but also take a giant step toward caring how they present themselves to the world. The fresh cuts. That's where it all begins. Derrick Barnes, a graduate of Jackson State University, is the author of eight books, including the popular series Ruby and the Booker Boys. He also wrote best-selling copy for Hallmark as the first African American male staff writer for the company. Barnes resides in Charlotte, North Carolina, with his wife and four sons. Gordon C. James, a graduate of the School of Visual Arts, is a nationally recognized, award-winning fine artist specializing in figurative drawing. He is the illustrator of the Scraps of Time children's book series. He has worked for Hallmark as an illustrator and artist and has taught at the University of North Carolina. He lives in Charlotte, North Carolina.